As my previous post mentioned, I've gotten back into a reading frenzy again. So, I wanted to join in a couple of weekly memes for fun. I found Booking Through Thursday and decided to go with this one for a Thursday bookish meme. I'll try to keep up with this meme on a regular basis and who knows...maybe it will generate some interesting conversations! The question for this week is: Do you read any foreign languages? 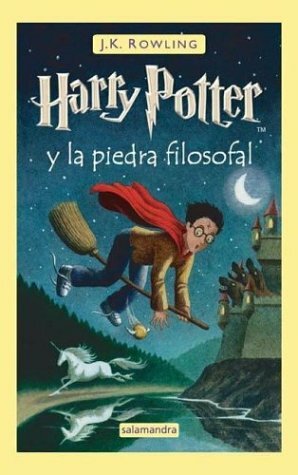 Do you ENJOY reading in other languages? 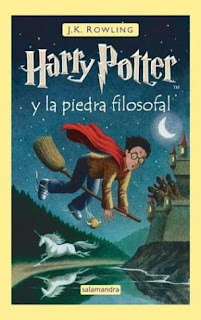 I don't claim to be fluent in Spanish (waaaay far from it), but I had this brilliant idea that since I'd already read Harry Potter and the Sorcerer's Stone in English, that maybe I could try to read it in Spanish. Unfortunately, I didn't get very far. But this book is still on my shelf and maybe someday I will give it another try. This was my only attempt to read something in another language and I doubt I'll try again. But, anything is possible! Leave me a link if you're participating in this meme or leave a comment below answering the question! And have a great Thursday! I'd love to be able to read something in another language, but the only foreign language books we have in our house are in French, because our children get French at school. Maybe some day I'll get my daughter, who is in French immersion, to help me learn some French. Good luck with the Harry Potter, if you get back to it. Thanks for visiting my post earlier. That's pretty awesome that you got to do your thesis by analyzing the translation of The Mortal Instruments! I really enjoyed that series...well, the first three books anyway. I have a couple of friends in Germany who have tried to teach me some German, but it hasn't stuck very well just yet. I'll just have to keep practicing! :) Thanks for stopping by and commenting! You've tried, and that's a start. If you want to persevere, a dual-language edition book in your native language and another language is a good way to do it, or a side-by-side reading with your native language as a reference if you get stuck.